The European Bank for Reconstruction and Development (EBRD) has launched a new US$20mn trade finance facility in Uzbekistan, as part of its trade facilitation programme. The news comes following the visit of a delegation from Uzbekistan to London last week, at which Uzpromstroybank, the country’s third-largest bank, and the EBRD signed a number of agreements. The trade finance facility will provide finance for small and medium-sized businesses, especially in rural areas of the Central Asian country, and also allow Uzpromstroybank to support export-import transactions, increase correspondent banking services and expand its range of products to service foreign trade operations. Under the terms of the agreement, up to half of the funds can be provided as cash advances for pre- and post-export financing. The trade facilitation programme promotes international trade to, from, and within EBRD’s countries of operations, including Uzbekistan. Through the programme, the EBRD provides guarantees to international confirming banks, taking the political and commercial payment risk of international trade transactions undertaken by banks in the countries of operations. 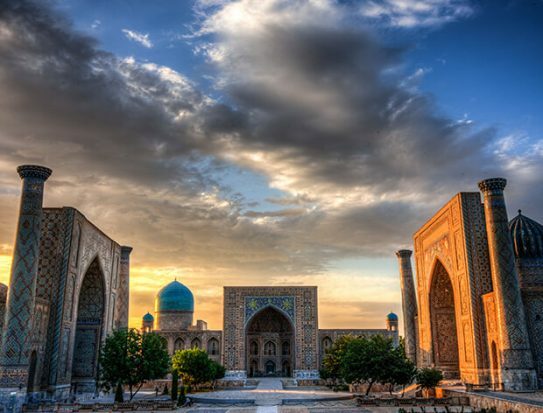 This is the fifth EBRD trade facility in Uzbekistan to date, and the first since the EBRD updated its strategy for the country in September last year. This update was prompted by a major reform programme launched by the Uzbek government in late 2016 which aims to move the economy towards a more open, integrated market model.